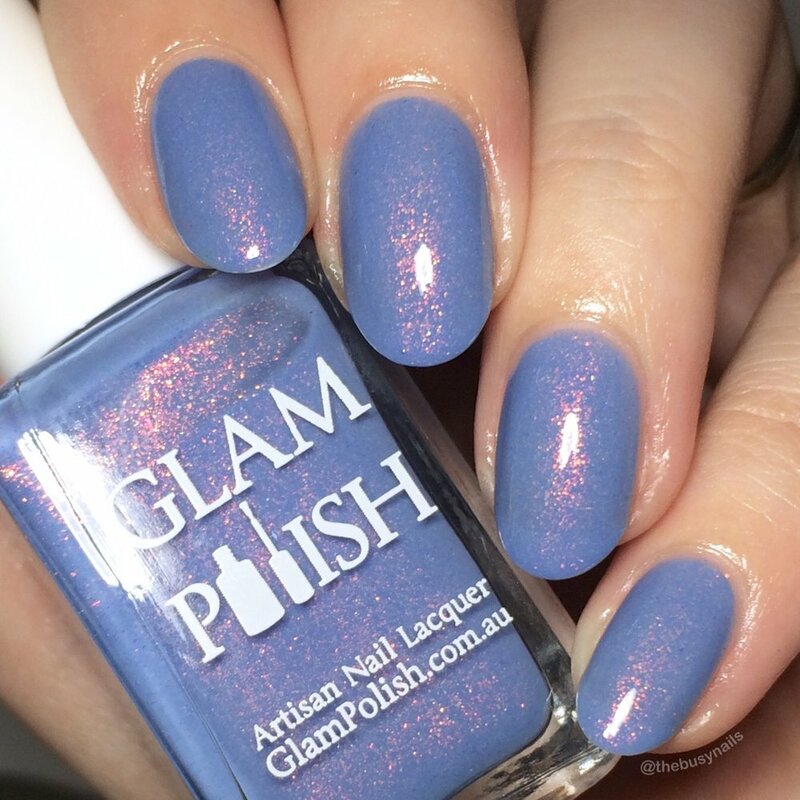 Today I have 5 of the 9 Glam Polish 5th Anniversary shades to share with you! I'll keep my own notes to a minimum because there are lots of details to share about this release and Black Friday deals. 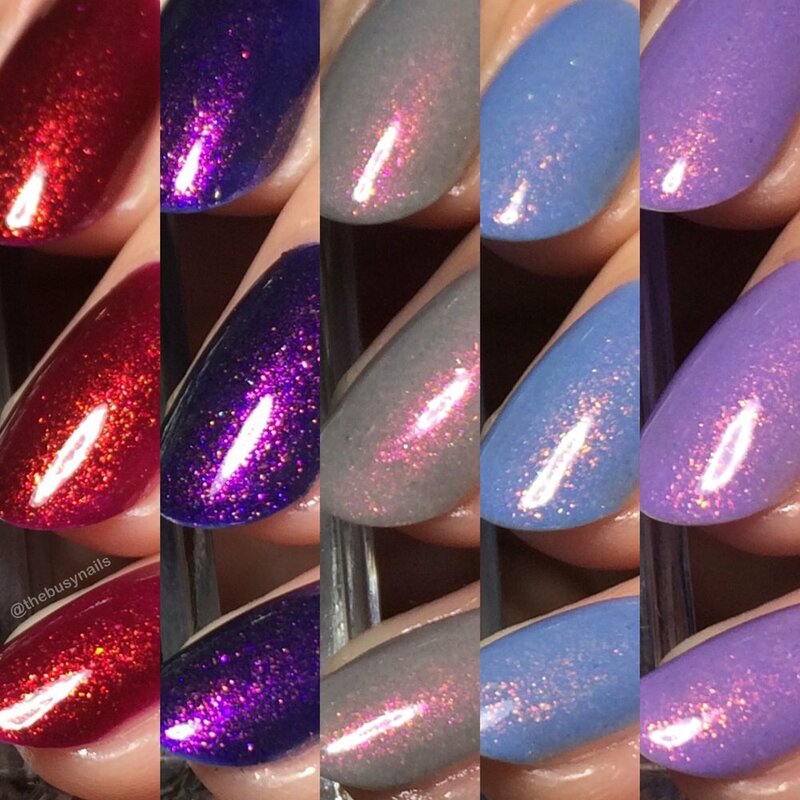 The limited edition Magical Spells Collection is inspired by the Harry Potter Series and includes nine Magical Jelly and Crelly shades with color shifting shimmer. Availability: Limited Edition - set those alarms! IMPORTANT: Australian and UK purchases are not possible at this time due to personal circumstances of the maker. I encourage you to join the Facebook fan group for more information and updates. Shipping to Australia and UK will resume eventually, but the time is unknown right now. 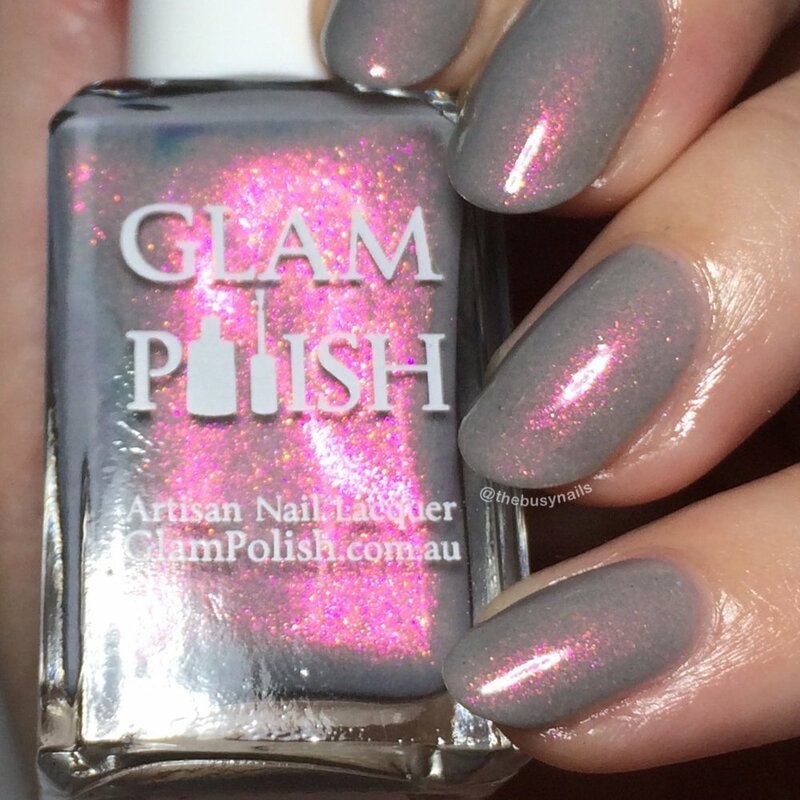 Black Friday Promo: Glam Polish is giving away a free mystery full sized Limited Edition Nail Polish to the first 100 USA/International customers who spend $60 USD on products not including shipping in one transaction placed on the Glam website from 12pm on Nov 23rd, while stocks last. See Terms & Conditions at the bottom of this post for more info. All photos in this post are taken under artificial light. I used Talon Super Swatch & Peel base coat by Nail Hoot, (a clear peel-able vinyl base), and all are topped with Glisten & Glow HK Girl topcoat. Matte swatches are topped with Nina Ultra Pro matte ropcoat. These polishes were provided for my honest review. This polish is so fiery and I absolutely love it! It's brighter and more vibrant on the nails than I expected from looking at the bottle. This is perfect for upcoming holiday parties or a night out. This has an excellent formula and so did all the rest. Also, my apologies for not having photos of the shift in this one - I was zoned out when I swatched it and forgot to take color shift photos. Is "swatch brain" a thing? Oops! Indigo jelly with Magenta/Red/Gold/Green color shifting unicorn shimmer. 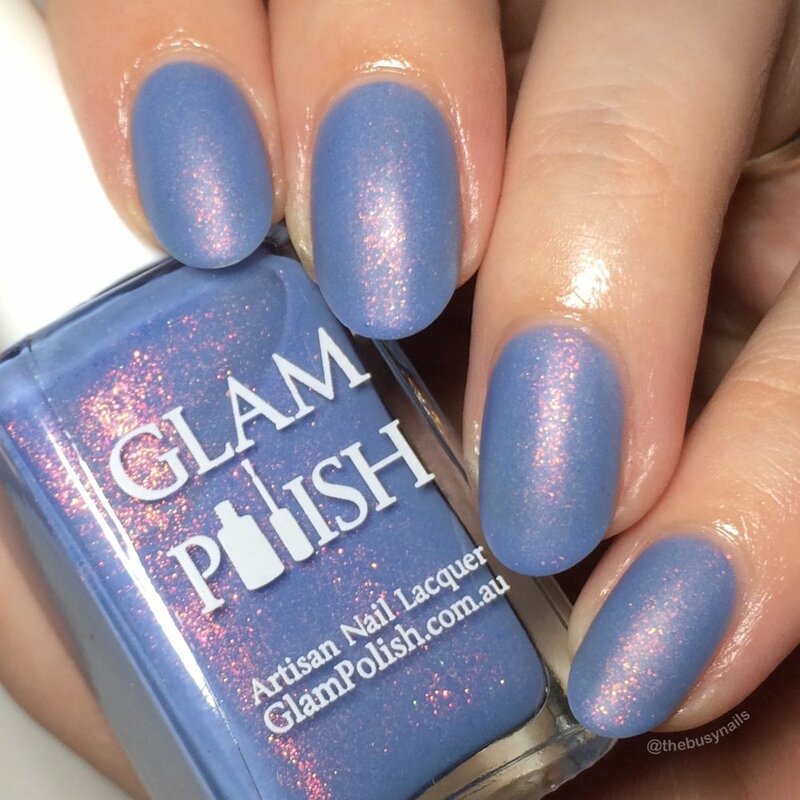 This polish has great contrast between the shimmer and the base. Again, it's not as dark as the bottle which was a pleasant surprise. The indigo base color is really beautiful. Light grey crelly with Magenta/Red/Gold/Green color shifting unicorn shimmer. HEART EYES. (Seriously, I drew some in my notes). Even though this is in the pale grey family that often makes me look really washed out and borderline corpse-like, I still love this polish. The shimmer really stands out in the neutral base. The base is definitely a grey, not a taupe, although photographs might lean taupe because of all that shimmer. 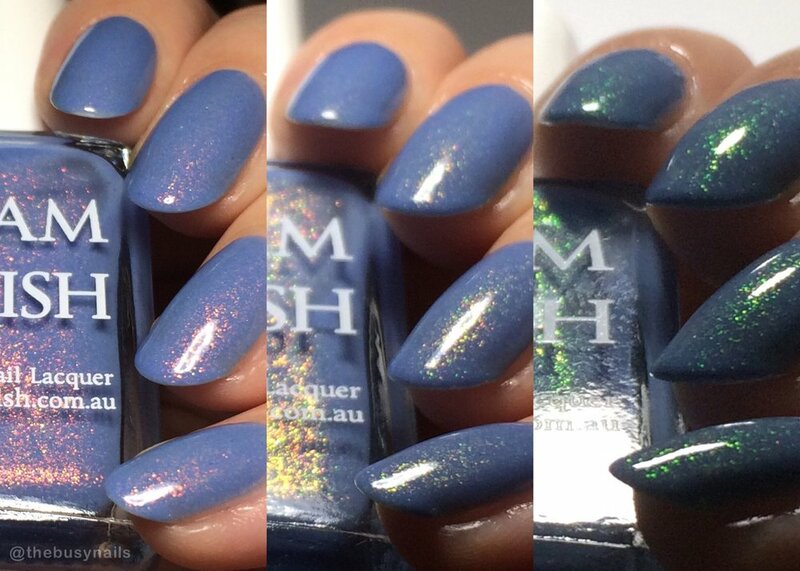 Cornflower blue crelly with Red/Gold/Green color shifting unicorn shimmer. This is the most lovely, gentle shade of blue. I used three coats, but it also looks great in two if you don't mind subtle VNL. 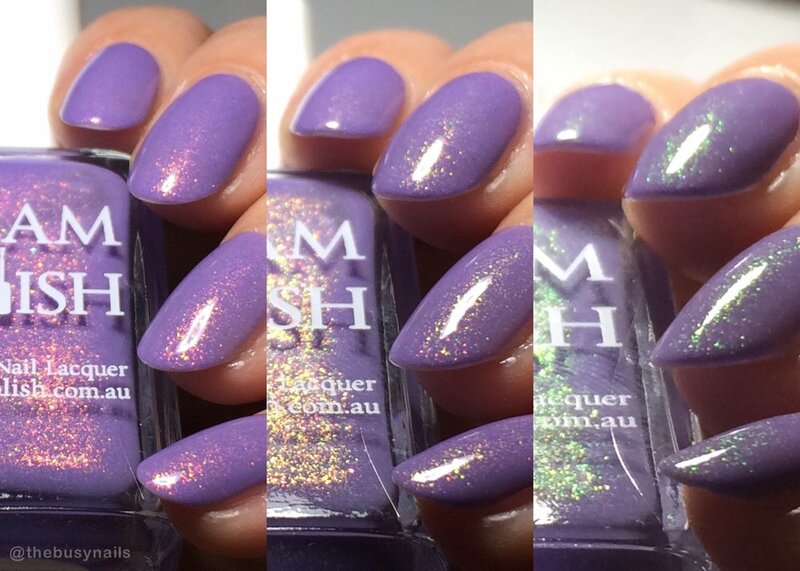 Violet crelly with Red/Gold/Green color shifting unicorn shimmer. 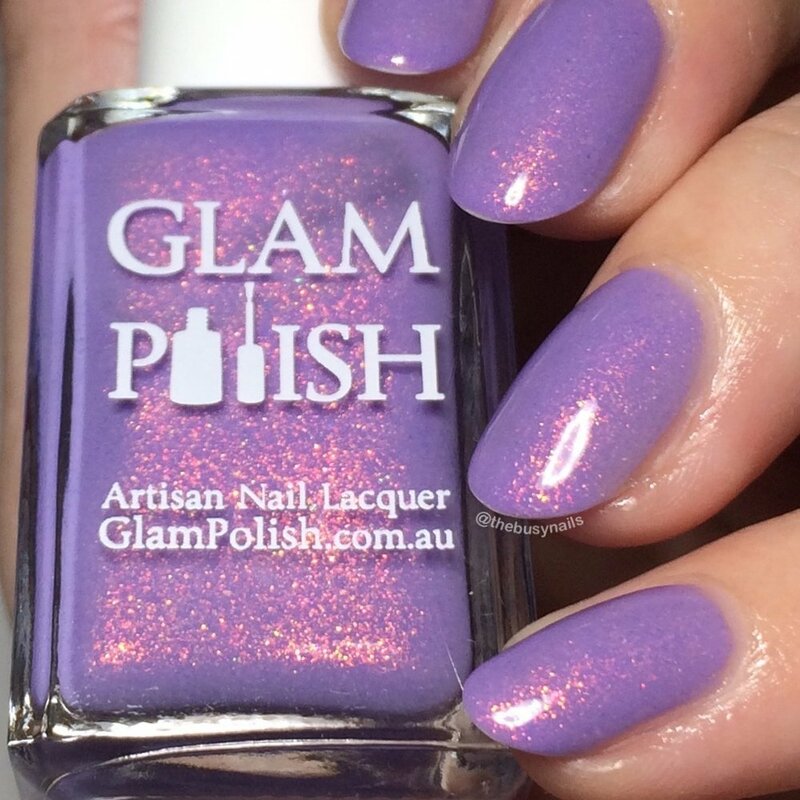 I love lavender/violet polish and this is no exception. Like Expelliarmus!, I used three coats, but it also looks great in two if you don't mind subtle VNL. I had trouble choosing a favorite from this group, and honestly love them all! I expected to love the pale shades the most, but was very pleasantly surprised by Incendio! 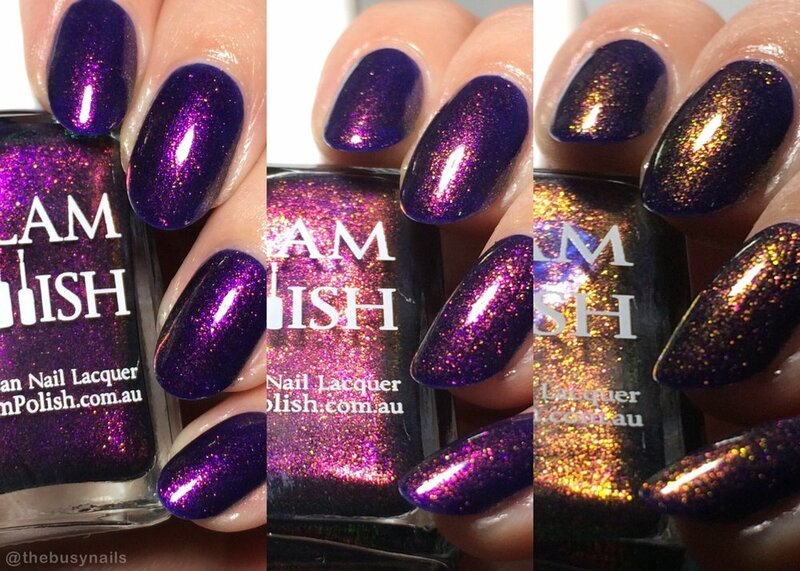 Thanks for reading, and check below for the fine print on the Glam Polish Black Friday sale. Free LE offer starts at 12pm EST Nov 23rd and is applicable only while stocks last and for eligible orders only. All Sale items only available while stocks last, Free LE Promo does not apply to orders placed before 12pm EST November 23rd EST (USA).